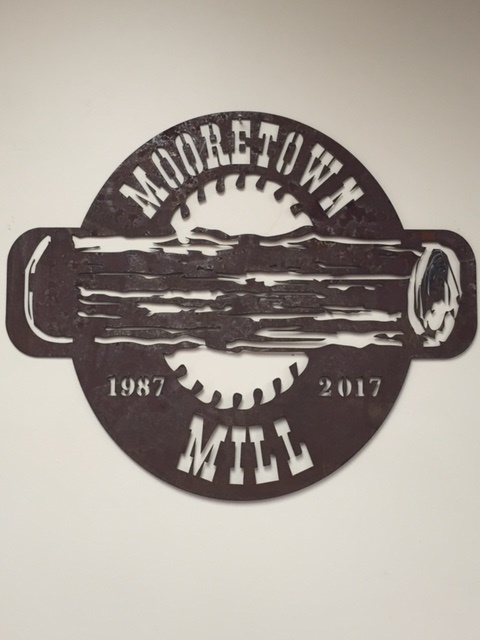 Mooretown Sawmill was founded in 1987, with the belief that quality products and superior customer service were the most important offerings a company can make. Today, almost 30 years later, we continue to offer a wide range of quality products and service. Whether you are looking for that special color in metal roofing, a tongue and groove paneling or flooring for the inside of your home; a timber frame pavilion or cabin, or simply mulch, sawdust or shavings to finish off your landscaping project, turn to Mooretown Mill for the answers. Our timber frame structures create the perfect outdoor living space or even that cabin you've dreamed about. Our rough lumber makes the perfect affordable siding and building material for that rustic barn or maybe the 'she' shed you would like to have. We also can supply 2x8 log siding that can transform your present home into the image of a log home. Whatever your special project is, feel free to contact Mooretown Sawmill for all your needs. We are still here to serve you after 30 years! Have you seen our line of Pavilions? 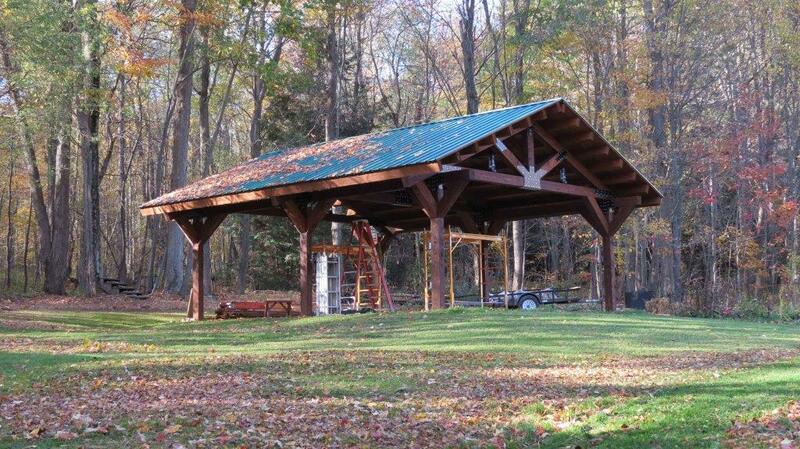 Save money and time and enjoy a pavilion assembled in only a few days. These are precut, predrilled, erector style making assembly a breeze! Standard and custom sizes ~ affordably priced. Planning is key....it's not too early to put your order in for next Spring. We will manufacture over the winter, so you are ready to enjoy in the Spring - stop in to see us now!